X4Jet Plus – AT Information – Innovative Marking Systems, Inc. 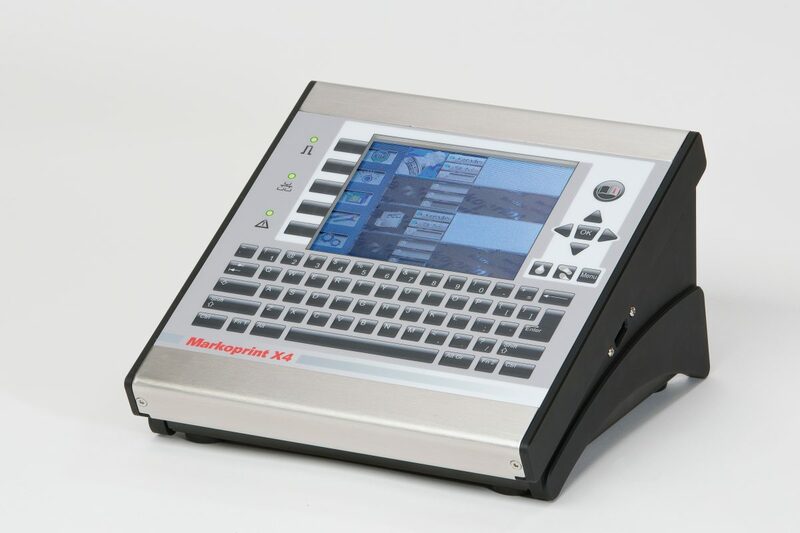 The X4Jet Plus is a stand-alone controller with LCD and keyboard for up to 4 print heads. Supports 3 different print technologies: HP, Lexmark and Trident. The X4JET Plus is targeted for a range of different applications in the Food & Beverage, Pharmaceutical, Building Materials and other industries. Now available in Touch Screen. The intuitively designed user interface renders the X4JET Plus particularly user-friendly. Animated graphics make user control simple and clear. Simple and reliable data transfer are possible via USB stick. The printer is able to control four printheads for labeling packaging on two sides or to simultaneously label products differently on two production lines. The system supports both piezo-electric and thermal inkjet print systems. The X4JET Plus uses True Type fonts for printing. All conventional 1- and 2- dimensional codes can be printed. Data transmissions initialized with USB stick / interface, Ethernet, PLC or web interface.